This thread formerly started from the post The Devil: Can He Harm Us? Because of the drift to a change of topic, it has been split into this separate thread pertaining to fate and destiny. We may be of slightly differing views on this sister. Perhaps I see the beginning of some interesting discussions here on this topic. Your intepretaion is interesting. However, my views are that everything is actually 100% destined by Allah. The outcome of everything we do, down to the things we think is all destined by Allah. Salaam Alaikum brother Ace. Many thanks for your comments. I've been one mind on this issue since long and shall continue to do so. Praise be to Allah for not confounding me. I am convinced that everything is destined by Allah but on the basis of our actions. It's really very simple to follow, as I perceive it from the depth of the Noble Quraan. And Verse 13:11 (and others too) explains what I've understood perfectly. Actually Verse 13:11 is a very well known one to clarify this issue. It's a perfect and comprehensive gist of the entire concept of destiny. Allah does not change the condition of our hearts until we make changes in our actions, decisions, thoughts and intents that necessiate His decisions .. thus carving our destiny / fate. That's because Allah has provided us with a conscience higher than that of other living creatures on earth and He wants us to prove to ourselves how far we are capable of developing that conscience and subsequently walking on the path of wisdom. Allah has ordained it as such that though He does plan destiny 100% but as an outcome of our own deeds. I consider this aspect very important otherwise I would be omiting a very important injunction of the Noble Quraan. Divine Power is the most perfect symbol of Justice. Hence, Allah is NOT a partisan and His planning of our destiny is not on the basis of His likes and dislikes of individuals at random, but it's on the basis of what we deserve for ourselves on account of our own actions, intents and efforts. Whatever good or bad befalls us, is with the Will of Allah as a result of what we truly deserve. This is what Verse 4:78 and many more imply. This concept includes the tests of life. Our passing it or failing it is no doubt with the Will of Allah. But we can't just say that and relax. If I fail in my exam, no doubt it's with the will of Allah as nothing can happen without His will. But I musn't use that to wrap up the issue of my failure and do nothing about it. Allah ordained my failure because of some reason. That reason could be lack of hardwork, inattentive while being taught, cheating my mentors, my undesirable motives etc. etc. I must try to reflect on my life to find that reason to make sure I make myself more worthy in the sight of Allah in future in order to achieve success by His will. That's because Allah's decision to make us succeed or otherwise is based on our own spiritual & practical merits. Though Allah puts us through various tests in earthly life and also helps us through those tests, Allah NEVER hurts anyone without a reason. And of course, the final reward / retribution of our complete deeds await us in the Hereafter. That's the ultimate goal of justice ordained for us by the Divine Power. I know most people sound very confused on the issue of destiny, but not me, honestly. Alhamdulilah. Everything is 100% destined by Allah and we cannot change our destiny by the least. In Surah Al Hadid, Allah states "No misfortune can befall you in the earth or within yourselves without it being in a clear record before we bring into occurance"....And I believe its in Surah At-Tauba where Allah also states "Say, nothing can befall us except form what Allah has ordained for us". And another Verse where the diseased at heart said after a war that if those who fought had not went to fight, they would not have been killed and Allah states that even if they had not gone out to fight (stayed home), they would have met their deaths. Another Verse of the Qur'an states how Allah has delibrated created (destined) many of the Jinn and man for Hell. All this obviously indicates that the past and future is all pre-set or decreed before-hand by Allah before they are brought into occurance. This means actions and decisions we make must also be destined by Allah. Here is how I interpret the Verse 'Allah does not change the condition of a people until they change themselves". As I have said everything in the future is decreed already by Allah - our destiny. However to meet the destined events and ends, we will take certain actions, those actions in our worldly realm determine the outcome in our worldly realm. But as we know from the above paragraph absolutely everything is determined before hand by Allah, so how can our own-willed actions determine the pre-ordained future? Herein we must also understand that our actions are also destined by Allah. Yet in our worldly realm, we must make effort to take the correct actions and submit to the destiny created by Allah though we really have no choice in what actions we will take. Not making an effort will lead to a bad outcome (which is what this Verse refers to), though that too is destined by Allah. So this Verse does not indicate that we have the free-will to take what action we want and it does not indeicate that Allah does not intervene in our decisions. Even though our actions are all destined, the religion of Allah requires people to make the effort, even though all is destined by Allah. That is what is meant when Allah says he will not change the condition of a people untill they change themselves. and all the other Verses I quoted above tells us how everything is destined, our actions and the results of our actions. Since Allah has also asserted in the Quraan that He has bestowed humans with a conscience and the awareness to choose their path of conduct, He allows us to make our choices. Reward or retribution both in this world and the next are linked to these choices we make. This is an important part of the process of earthly tests, trials and tribulations. I would interpret this as saying that generally God allows us to carve our own path of conduct on the basis of which He then dispenses His Judgment. The reason why He does not intervene is not because He is unable to so, but because He chooses not to. And again, there are circumstances during which He may decide to intervene and take matters entirely in His control. The reasons for this can sometimes be envisaged by humans and sometimes not, if Allah desires to keep it hidden. But it must be remembered that Allah always has a justifiable and concrete reason for every such matter, be it directly from Him or as a consequence of our deeds. I have bolded the statements that appear to not fit with how I would explain the concept, as I have explained above. Because I believe we cannot possibly say Allah chooses not to intervene, because could it not be that Allah has full control of all events including the actions we take? And that Allah is determining every moment of ones life (we are living our lives like a video player playing a pre-recorded video)? The answer to these questions, is 'yes' as I explained above according to how I understand the Qur'an. Actually we're going off topic. This post is about the temptations of Satan to humans. The reason I briefly talked on fate & destiny in my first response was to elucidate that people who allow themselves to get tempted by Satan have only themselves to blame. Anyhow, I'll finish it with some more details. Hopefully that'll help. "Another Verse of the Qur'an states how Allah has delibrated created (destined) many of the Jinn and man for Hell." This is because Allah knows their future just as He knows everyone's future and Allah is fully aware that they are people of Hellfire because He is aware that they will not succeed in making themselves worthy of anything better. Such people among humans and Jinns could include anyone of us. Allah knows this beforehand about everyone becaue He knows the future. This verse you quoted is one of the many that explains this fact: "No misfortune can befall you in the earth or within yourselves without it being in a clear record before we bring into occurance".... Allah knows our eventual destination. That's because He knows everyone's characteristics, limitations, intentions and the extent to which their efforts can take them. However, those intentions and efforts are our choice. So, why are they our choice? Because Allah has chosen to ordain it this way. And this is what I meant when I said that whatever ordainment or intervention comes from Allah is His choice. And yes, once he chooses or decides a certain destiny for us, nothing can change it. But our course of action upon which Allah makes His decision is a choice He has given to us on the basis of a mind & conscience that He has created for us superior to other earthly creatures. "Say, nothing can befall us except form what Allah has ordained for us". I already explained this aspect with reference to Verse 4:78 which I repeat: Whatever good or bad befalls us, is with the Will of Allah as a result of what we truly deserve. The words underlined come automatically as clarified by Verse 13:11. Why? because Allah's justice in infallible and secondly, Allah has said in numerous verses throughout the Quraan that whatever good comes to us it is from Allah and whatever misfortune befalls us is from ourselves. An ignorant person would take this as a contradiction with the Verse ".. nothing can befall us except form what Allah has ordained for us". But NO, it's not a contradiction. 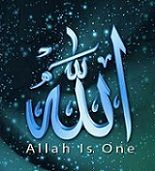 When Allah first says that every misfortune that befalls us is from ourselves, and then states that all which befalls us is from Him ---- this concept is exactly the same as the one reflected in Verse 13:11. It means, since Allah has given us the freedom to chose our path of conduct, thus while using our discretion, we falter many times and bring misfortune upon ourselves. This misfortune comes with the will and permission of Allah as an outcome of our fault. Thus, none can prevent nor avert this misfortune because it is His will. The only aspect we humans can control about ourselves (by the permission of Allah) is to endeavour to enhance our wisdom so that we can present a good report of ourselves before Allah and thus lessen our misfortune / punishment. "have bolded the statements that appear to not fit with how I would explain the concept, as I have explained above. Because I believe we cannot possibly say Allah chooses not to intervene, because could it not be that Allah has full control of all events including the actions we take? And that Allah is determining every moment of ones life"
Brother, when I state that "Allah chooses .." .. this very term determines His supreme control. Just as I've stated above, Allah has chosen to ordain our lives in a way in which He judges us according to our efforts (Verse 13:11). Of course I would say that everytime Allah intervenes into our fate to make changes, or whenever He abandons us to remain the way we are, or whenever He puts us through the trials & tribulations of life, or whenever He makes us happy or sad ---- all of these happen with His will and consent. And His will is His choice. Therefore Allah chooses to do what He wills. NO ONE COMPELS ALLAH TO DO ANYTHING. HE CHOOSES TO DO WHATEVER HE WANTS. He also chooses to ordain our fate the way He wants, and one of the characteristics He has put into us is the freedom to select our path of conduct which He judges for reward or retribution in both the worlds, particularly in the Hereafter. There are some wrong-doers who do not suffer the consequences of their evil deeds in this world. However, this certainly doesn't mean they are through. They will be dealt with in the Hereafter to the fullest. So, why is it that some such people don't suffer here? It's because that's the way Allah has chosen (or decided) to act, the reason for which is known to Him alone and we have no right to question that. Allah chose His decisions or methods of dealings in the past and He will always in future be totally independent to make His choice. No one compels Him. If anyone says that Allah does not chose to intervene or assert His will, it will imply that He is unable to do it because of some reason or pressure. That's completely wrong, if not blasphemous. Absolutely NO ONE can compel, pressure or force Him. Allah is totally independent of everything, He is doer of what He will and His decisions / inverventions (whatever you call it) are entirely His choice. This is what I meant. I also repeat, I find no confusion in it. We just have to be focused on the entire Quraan, so that while understanding the words of Allah we are able to piece together all the ayaats of the Quraan, not just a few of them. That would make the vision complete. Alhamdulilah. Take care and peace, dear brother. It has been very interesting sharing views on this matter. By no means do I feel 'distant' from you by this difference in view. I am still of my previous views however. I will need to do further research on the Verse/s on 'whatever good is from Allah and misfortune is from ourselves'. But thank you very much for sharing your views. Actually, the discussion with you allowed me to reach a firmer conclusion on one of the Verses we mentioned in the course of our discussion, alhamdulillah. I will need to do further research on the Verse/s on 'whatever good is from Allah and misfortune is from ourselves'. Just to clarify this last bit, these words in bold are from the Quraan, brother. I'll certainly, InshAllah, quote them as soon as I find them as I do read the Quraan everyday. What you've mentioned about everything coming from Allah is also from the Quraan. Thus, whether "all is from Allah" or "all good is from Allah and misfortunes from ourselves," eventually means the same in terms of reward or consequences. The only bit you are missing out is you're overlooking a vital capacity that Allah has stated He has provided to the human mind to exercise their discretion. If Allah rigidly pre-destined some people for hellfire without providing them with the ability & option for sharpening their wisdom and discerning between right and wrong .. does that sound compatible with the established Truth in Allah's own words that He is the most Just and He is NOT a tyrant to His slaves? No, it clearly does not sound compatible at all. Allah is NOT unjust and He is NOt a tyrant to his slaves. Absolutely the opposite. Anyway, I'll surely remember to put those words from the Quraan. Thinketh he that none beholdeth him ? And guide him to the parting of the mountain ways ? And inspired it (with conscience of) what is wrong for it and (what is) right for it. And he is indeed a failure who stunteth it. .. whether "all is from Allah" or "all good is from Allah and misfortunes from ourselves," eventually means the same in terms of reward or consequences. The only bit you are missing out is you're overlooking a vital capacity that Allah has stated He has provided to the human mind to exercise their discretion. Yes right , sister and brother have both cited matters correctly but brother is only missing on that part which sister mentioned. Those verses from Surahs Al-Balaad and Ash-Shams are very informative on this issue. There are other such verses too. InshAllah, I will also quote them here as and when I come across them. Allah hadn't even pre-destined Iblees (Satan) to hell. It was Iblees who chose to disobey by preferring arrogance to humility and never repented nor asked forgiveness from Allah. So, Allah destined him to hellfire which now, none can change. The Quran states on this issue that when Allah commanded all angels to prostrate before Adam, they all obeyed Allah except Iblees who "demurred" through pride. Iblees or Satan who was formerly of the angels was also of the Jinn. This gives information on his disobedience because Jinns like humans, are given the capacity by Allah to select their path of behaviour. This part of the discussion also takes me to that very illuminating piece I had received from a relative and the same one sister zeynab also posted in the Writing Room titled Does Evil Exist? ... quoting a conversation between Einstein (while a student) and his teacher in which Einstein proved that 'evil' which dwells within man's heart is his own creation. God does not create evil. Another relative of mine didn't agree with this on the basis of the first and second verses of Surah Al-Falaq where Allah says: "Say: I seek refuge in the Lord of the Daybreak From the evil of that which He created;" (113:1-2). This was because when people read the second verse inattentively without contemplation, they usually misunderstand it by thinking that evil is created by Allah. But a more careful reading reveals the real truth. In verse 113:2, Allah does not say that the evil is created by Him. Instead Allah refers to the being that contains the evil (that is, humankind), which is created by Allah. But the evil that humankind carry inside of them is their own creation through their misguidance & disobedience to Allah. And it is this evil from which we need to seek refuge & protection in Allah. Assalam Alaykum, peace and thanks great discussion! Yet whatever we end up doing, that was actually all preordained. Yes brother that's absolutely right but preordained on the basis of our own future merits. and this capability to promote or demote our merits is itself a characteristic preordained by Allah in our own best interest and making us responsible for our deeds. Therefor we are not locked up in one particular path of either good or bad. But both lie before us. If we choose the bad one, we bring upon ourselves our own doom and if we choose the good one, we reap the fruits of it through our own efforts. Angels and all other living beings on earth (animals, birds, fishes, insects etc.) except humans and Jinns are not able to choose their path of behaviour. With them it's only obedience to Allah. Humans and Jinns can make this choice and that's why they are answerable to Allah. But there's no such set of creatures who can't chose their actions because Allah has bound them only to disobedience. Satan is the only creature on this path who has been obtracised by Allah because of his own wrong doing. Definitely Allah knew the future of Satan's disobedient conduct beforehand and hence this was preordained by Allah, but on account of Satan's own actions. Satan's disobedience was satan's own choice by which he failed the test when Allah commanded him to prostrate before Adam. Therefor, Allah's condemnation of satan comes through satan's own act. Satan wronged himself and became one of the owners of hellfire. The concept and pattern is primarily the same with humans and other jinns as well. Indeed, we are supposed to lead our lives feeling that way as this is how Allah intended for us to operate as. And He has given us conscience to judge between right and wrong, hence the Verses you quoted. Yet, whatever we do based upon our consciences is preordained by Allah. On reading this thread carefully I think brother you are saying the same thing as sister zeynab and br. pt, except that you are coming around to it in a slightly different way. As I see it, here's where you differ - when we feel that we can live our lives as we desire, it's not just a feeling that arises within us from nowhere, but it's Allah who has given us that feeling because He has genuinely put that characteristic within us. The proof of that has been stated by Allah Himself by confirming the existence of human conscience. Those who think that they're leading a free life independent of Allah are in gross error. This just isn't true. Freedom is there but it's with the total consent of Allah and certainly He can change that anytime He wants. When you rightly stated: "Yet, whatever we do based upon our consciences is preordained by Allah" - it's our intentions and actions that are the basis of this pre-ordainment. However, I have a slight disagreement with reference to your following quote. I believe there are two levels to this. And the Verses are there to indicate both. On an earthly and humanly level, we are made to feel we have free will, we have no choice but to lead ourlives making our decisions in life. Unless I've understood you wrong, I wouldn't go for this theory of 'two levels.' If on an earthly and humanly level we are made to feel free and yet in reality we are not free because of an already strict pre-ordainment on a different basis other than our own actions, then this would basically imply that human life persists in the shadows of deception. But we know this isn't true. Allah has put before us His facts and wonders in very clear terms for us to understand correctly. Then only can we make efforts to improve ourselves. If the human mind was inherently designed by the Divine Power to misunderstand its fate or creation, then that would nullify the concept and purpose of being questioned in the Hereafter. This would also imply absolving humans of their resposibilities which in turn would erase the concepts of 'guidance' or 'misguidance.' Such a scenario would make life quite purposeless. Again, we know this is not true at all. Allah has said that the creation of the earth, the universe and the creation of every being has a purpose. It is to fulfil this purpose that Allah has given humans the freedom to act so that His Judgment will also be based on a purpose. That strict pre-ordainment of fate that you refer to would apply for animals, not humans. It's on this basis that animals will not be questioned for their deeds in the Hereafter, because the Divine Power has created animals intellectually in such a way that they aren't capable of exercising pre-meditated evil like humans. I think of it this way: If we are writing an exam and our teacher stands before us, watching us write, the teacher would know to what extent we're writing correctly and where we err. Yet, the teacher watches us write silently though it's in his power to point out our mistakes. The reason why the teacher watches us write silently is not because he doesn't know how to correct us nor because he is physically unable to warn us, but because the teacher's intervention would negate the purpose of this test. It's much the same regarding the path of life, except that Allah's sovereignity works in a much wider sense that this little example I stated. A huge part of His domain consists of the unseen. Therefore, unlike a teacher who doesn't know the future and who doesn't have the authority to guide his students while they write an exam, Allah knows the future and has complete authority. Hence there are times when He steps in to make changes in our lives. He steps in (or intervenes) with a purpose which could be a test, or any other positive or negative occurence with a reason. Often this reason is a consequence / outcome of our own deeds. Sometimes the reason could be different, hard for us to discern at that point, but nonetheless the reason is there. The lack of ability of the human mind to comprehend the unseen does not mean that Allah's pre-ordainment of fate does not have a fair reason and purpose. And on the other hand we have Verses that are from the view of Allah's infinite power and grasp of each and every past and present and future moments. This is so that we may take advise and ponder on them to grow in wisdom, the first type helps us to make right deicisons and the second type helps us to surrender to the destiny of Allah. I suppose this is what she meant by stating that Allah's intervention into our lives is by His choice. He has given us the ability to conduct our lives as per our conscience, then He judges its consequences accordingly, and He has the right & power to intervene and change matters for us at any time He desires. The important thing to remember is - every act of Allah has a reason based on justice. Whether or not we are able to perceive, know or understand that reason, it's there and known to Him in full. It is also interesting to notice how Allah sometimes speaks of occurances of the Day of Judgement in the past tense as if it has already and happened and finished. Yes, many future occurences in the Quran are described in terms as though already accomplished, many of which have already come true and many will by His command at whatever time He deems right. This includes the prophecies of the Quran. Its wonderful reading your response. I am glad you wrote as I am always interested in getting to know more people who believe. I think that you, brother Persian and Sister Zeynab are saying the same thing but I am saying something a bit different. You have explained your view well, alhamdulillah. However, I still believe in what I have explained before in that every action, thought, consequences are totally unchangeable. Allah does not intervene just when He wants to, rather He is always controlling everything. We have no choice and or say in our lives, this is speaking from a more 'sophisticated'...we have no say, we are forced to simply go with the continuous creation of Allah or that which has been created (whichever way you look at it). He creates every thought, every emotion, every word and every move we make. I understand what you are saying about Judgement Day, reward and punishment. But that is the decree of Allah, He will certainly lead some people to Paradise and other people to Hell. Let the Believers be grateful for Allah choosing them. They had no choice in them being guided. Let us glorify our Lord for guiding us the way He has. Yet, when we glorify, we only do so because He is decreeing us. .. this is speaking from a more 'sophisticated'...we have no say, we are forced to simply go with the continuous creation of Allah or that which has been created (whichever way you look at it). He creates every thought, every emotion, every word and every move we make. Yes of course brother, but on what basis does Allah plan and create everything you've mentioned ..? Remember, unlike un-Quranic faiths, the Noble Quran is a Book of Reason and Justice. Allah has made it clear that He has created the earth, everyone in it and the heavens with a purpose. From the illuminating facts detailed in the Quran, I can't possibly accept that the creation of human desires, feelings, emotions etc. is decided by Allah at random just as a child playing with barbie dolls would decide the actions of their toys that are not founded on the principles of reason, cause and purpose. Dear brother Ace, I know your intentions are most sincere. But your final analysis isn't adding up with nor complimenting a big part of the Quranic ideology. That's the way I see it. And Allah knows best. As for me, I have no problem agreeing to disagree Salaams and peace! I do not doubt your sincerity at all, nor sister Zeynab's or brother Persian's. I absolutely see all the Verses which you refered to in the Qur'an. and like I say the Verses can be split into two dimensions, essentially Verses that are refering to the concept of absolute destiny and other are Verses which speak in a manner indicating that it is upto man to determine his own fate in the Hereafter. Its a matter of reconciling the two. "From the illuminating facts detailed in the Quran, I can't possibly accept that the creation of human desires, feelings, emotions etc. is decided by Allah at random just as a child playing with barbie dolls would decide the actions of their toys that are not founded on the principles of reason, cause and purpose." Since we cannot say Allah is bound by time, we cant say it is decided at random as time passes. To Him, it may be that everything has happened and its over? If we are to say it is not Allah who controls (ie. created) every single thought, motivation, emotion and action, then who does? Who is the originator of these emotions? Yet we are bound by the illusion of worldly realm thinking we can determine our own future, in truth, we cant. But Allah wishes it to be that way, that is why we have Verses of the other dimension telling us that life is a test and what we do determines our fate in the Hereafter, these Verses enable us to live in our worldly realm. Allah tells us to strive, yet only those whom he wishes for them to strive will strive. To us it feels like we have an option, and we are right to feel that way as this is the realm we are created in (but in the sight of Allah its different). Why did Allah choose to pre-set every move of ours and everything we do and yet make us feel like we are leading our lives to achieve something? Only He knows. But what we do know is He exist and we have no option but to submit to Him by trying to follow the path shown by religion, yet whatever we do is preordained. There reaches a point we have to leave it to Allah and just contrinue worshipping Him. Brother Ace, sorry for not yet quoting that verse from the Quraan I promised which expresses all evil comes from us and all good comes from Allah. I haven't yet found it. However, I won't forget to post it however long it takes, InshAllah. But I would like to quote a set of other Quraanic verses that I already had in my file, which make it crystal clear that human mind is ordained by the Divine Power to be able to exercise its own discretion. I know it's a very long post. But I hope you'll have the patience to go through it in your own good time. However before I go directly to those verses .. for the benefit of readers I'd like to elaborate / add / reiterate on your response to sister rose's post. And sister rose, thanks much for your very thoughtful input. Why did Allah choose to pre-set every move of ours and everything we do and yet make us feel like we are leading our lives to achieve something? Only He knows. As I had stated earlier, Allah has predestined everything on the basis of the merits and demerits of every soul. Therefore I again admit you are right, just that you're omitting the different characteristics of every soul which is known beforehand to Allah on the grounds of which He predestines the fate of each soul. Besides, it's apparently a misinterpretation to think that "we feel we are leading our lives to achieve something" or we feel free to lead our lives. Only those who are secularists or rejecters of the Quraan can feel that way. As for me, and all believers I'm sure, feel that our lives are totally & completely controlled by Allah, in that, He decides to reward or punish us according to our belief in Him and according to our practical acts and intentions. And we can do nothing to change that decision. The only thing about which He has given us awareness & ability is to either strive for guidance or reject it. If a soul makes itself perceiving and reflective, it comes close to guidance and Allah gives that soul more of it. If a soul prefers to remain hostile and challenging, he never gets to understand guidance because of his own pride and Allah leaves him confounded. Thus, granting guidance to the former and denying it to the latter is Allah's preordained decision on the basis of the humble efforts of the former and the arrogance of the latter. Though Allah knows best, I'm very sure those verses I quoted of Surah Ar-Raad (13:11), Al-Balad (90:7-12) and Ash-Shams (91:7-10) explain this aspect. But what we do know is He exist and we have no option but to submit to Him by trying to follow the path shown by religion, yet whatever we do is preordained. Yes, very very true. Personally, I would only need to complete this by including what I stated above. Apparently your ideology / statements are in accordance with the lectures of Harun Yahya on "flow of fate" ditto. As I know you're a fan of Harun Yahya and so am I. However, unlike you, I realize that even our favorite spiritualists are human beings and they too can err like us. Harun Yahya goes 50/50 on Quraan and Hadith. The good thing about him is that he keeps the Quraan and Hadith very separate from each other. However, when he starts talking about the Hadith, he goes totally berserk. Out of that 50% of his lectures / interpretations that cover the Quraan, he has said a lot of nice and correct things. But he has also made some vital omissions. These omissions might not be intentional, but simply because of his lack of ability to remember and piece together the entire Quraanic information on many of the topics he has discussed. Such human errors are natural and happen with all of us. HY is not infallible either. I quote below HY's version on this topic. Those portions of the Quraanic injunctions that he has included in his work have been elucidated beautifully. But he hasn't completed his elucidation. That's because he has overlooked most of those Quraanic verses I have quoted at the end of this post which strongly reflect on the issue of fate and human discretion, either directly or indirectly. Accordingly, you are overlooking them too. Destiny is God's perfect knowledge of all events past or future as a single moment. A majority of people question how God can already know events that have not yet been experienced and this leads them to fail in understanding the fact of destiny. However, "events not yet experienced" are only so for us. God is not bound by time or space, for He Himself has created them. For this reason, past, future, and present are all the same to God; for Him everything has already taken place and finished. This is true for everyone and every incident. For instance, God has created everyone with a certain lifetime and everyone's moment of death is determined as to its location, time and form in the sight of God. If, in the years to come, the lifetime of a person is extended with timely interventions in the genes, this would not mean that this event defeated that person's destiny. This simply means the following: God gave this man a long life and He made the completion of gene mapping a means for his life being long. The discovery of gene map, that person's living in that era, that person's life being extended by scientific means are all his destiny. All is determined in the sight of God before this person is born into the world. Similarly, a person whose fatal sickness is cured through the discoveries made within the scope of this project has again not changed his destiny. That is because it is this person's destiny to recover from this illness by means of this project. Consequently, completion of the human genome and the fact that man will be able to intervene in the genetic makeup, do not mean confronting the destiny created by God. On the contrary, this way, humanity follows the developments created for them by God, explores and benefits from the information created by God. If man lives 120 years thanks to these scientific developments, this is surely a lifetime decreed for him by God, this is why he lives so long. In brief, expressions like "I defeated my destiny", "I changed my destiny" or "I intervened in my destiny" are consequences of ignorance caused by not knowing the fact of fate. On the other hand, a person's using these expressions is also predestined; how, when and under which conditions he will make these statements are all determined in the sight of God. There reaches a point we have to leave it to Allah and just contrinue worshipping Him. Of course brother. This fact goes without saying. Believers shouldn't even be emphasising such accepted facts to one another unless one believer doubts another's believer's faith & trust in Allah. And I'm sure a genuine believer would never stoop to such a serious suspicion toward one of their own. I don't know how many times I must have clarified that the unseen occupies a huge portion of Allah's infinite domain. No matter how great a scholar or scientist one might be, and no matter how great we think them to be, at the end of the day the truth is that their "vast" knowledge is still very, very little compared to the whole lot about the unseen that they don't know. This too is a preordainment of Allah. If you can recall Ayat-al-Kursi, this very point is stated in clear terms right there when Allah says: "He knoweth that which is in front of them and that which is behind them, while they encompass nothing of His knowledge save what He will." (2:255) Such a preordainment concerning knowledge of the unseen is decided and its boundaries marked for us entirely at the discretion of Allah with no links to righteousness or unrighteousness. But for personal reward & punishment of every individual, Allah does monitor their efforts to acquire righteousness though He already knows the outcome of every soul's efforts. Yet He allows us to do our deeds as per our perception so that Judgment pronounced in favor or against us on the Last Day will be a just one when we will have no excuses to think that we've been wronged by Allah's Judgment. As stated in numerous verses of the Quraan including the verse quoted above, there are plenty of facts and elements of the unknown that we will never know, and this too is a part of Allah's ordinance designed by Him. We can NEVER defeat it no matter how hard we try. It is for this reason that I've also mentioned in a couple of posts on this board that secularists who call for debates challenging to prove Allah's existence are only contradicting themselves. Allah has made it clear in the Quraan that we cannot see Him and neither can we prove His existence through regular arguments as one would prove a matter in court. Allah has made it clear that belief and trust in Him must come through Faith, not by seeing Him literally - "Wait they for naught else than that Allah should come unto them in the shadows of the clouds with the angels ? Then the case would be already judged. All cases go back to Allah (for judgment)." (2:210)" The beauty of Allah's Light comprises of the unseen for every living soul on earth. It's only Prophet Moses (pbuh) who saw the Light of Allah just for a very short while. Yet the impact of that overwhelming and awesome experience left Moses unconscious on the ground! Thus, if a believer proves Allah's existence with concrete proofs, this will actually be a victory for his opponent because it will mean that Allah has contridicted Himself by not keeping His existence Unseen. But there's no such thing as a contradiction in the Quraan. Anything and everything that comprises of the unseen by His will (including the beautiful Light of Allah) will remain unseen to the human eyes till He wishes to reveal the hidden. But .. the point I am upholding i.e. the link between choice of human actions and destiny is not really a matter of the unseen as Allah has clarified it so many times in the Quraan. After Allah has elucidated a certain point so clearly, it would be wrong of us to sit back with our arms folded using the "unseen" as an excuse not to reflect on that issue. .
OK .. now coming directly to the Glorious Quraan ..
First of all, verses from Surahs Ar-Raad, Al-Balad and Ash-Shams I quoted earlier clearly indicate the God given choice to humans for leading their lives, thus making Divine Judgment having a concrete purpose. Though you haven't accepted this bit, I observed that you were not able to give any reasons for rejecting it either except for your causeless instinct for accepting the rigidity of fate. This too is a natural phenomenon of many a human minds Anyhow, there's nothing wrong with that unless that instinct has an element of sense, and surely your instinct does contain a lot of validity .. except for your single omission which is however very important. I'll proceed with some more verses of the Quraan .. The above verse is a plain and simple statement directly from Allah that man is responsible for choosing his rules of behaviour. Of course, reward or punishment awaits at the discretion of Allah, Who is constantly watching the conduct of His slaves. Well .. as for the above verse, how much more clear do we expect Allah to be to convey to us that fate is an outcome of what we earn through our own deeds. Tests, trials and tribulations come from Allah in measure, and in accordance with our ability to handle them. But our reactions and method of handling these tasks and tests is our own choice, which is what we earn for ourselves for Salvation or Retribution from the Divine Power. In the above verse, Allah mentions about the reward every individual might get from Allah for their deeds ("for what they used to do"). The meaning becomes clear with the slightest of reflection - reward of Allah brings joy and this reward is what we earn through our own deeds that please Allah. Thus, we pick the good deeds to reap that reward. Verse 29:6 is self-explanatory. We strive only for our own benefit to elevate our souls. Allah has already stated that He is independent of us. Obviously the effort to strive got to come from within us. Now, the following from Surah Al-Ahzab is a very dynamic verse ..
You are an intelligent brother. I don't think I need to explain this verse to you. It plainly and so rightly implies that the fact man has proven himself a tyrant and a fool is because of his own shortcomings. If Allah had given man no other choice but to prove himself tryrannical and foolish, then in all probability perhaps Allah wouldn't have decided to reveal this verse for it wouldn't have served any purpose. These two verses of Surah Ar-Raad are exactly what I have been telling all along. Here's how I would explain these verses (and I don't think there can be any other way of explaining them because they're really so clear) ---- Allah guides and abandons whom He likes. He guides only those who reach out to Him and who seek comfort from having faith in Him. When a person reaches out to Allah or rejects Allah ..
1) does that person take this step on his own on, based on his conscience or lack of it as stated in Surah Ash-Shams? 2)Or, is he forcibly driven to it by Allah without giving him a chance to exercise his choice? I don't think one needs to be a super genius to say that No.1 is the correct answer. The above is another very interesting verse. Please read it carefully. The central theme of this verse is "Mercy." Allah makes a clear distinction between the actions of Himself and that of mankind on the issue of dispensing generosity regarding mercy. Allah says that if mankind was given the control of the same quantum of mercy which is owned by the Divine Power, humans would definitely not exercise that mercy on each other as generously as Allah showers it upon us. This is because Allah has bestowed on humans their own instincts for making decisions, and of their own choice, humans usually choose the wrong decisions. This verse might again make you think the needlessness of man's effort to achieve his goal. But as per my perception, Allah does not mean that at all. It is true as the verse mentions that when Allah decides to scorn someone, no one else by their efforts can grant respect to that person. But the important question here relating to the link between fate and human choice is - why does Allah decide to scorn some and not scorn others? Or, does Allah decide to scorn a person for no reason except for designing his fate without giving the ability to accept or reject guidance? The answer is NO. The correct perception would be, Allah decides to scorn some and not others because some make efforts to please Him and some don't. As simple as that. Referring to above v.14:34 .. why does Allah refer to man as a "wrong-doer" and an "ingrate?" Is it because Allah has made man so stiff-necked that he cannot look around and choose gratitude instead of ingratitude? Or, is it because man is by nature ungrateful and seldom offers thanks for Allah's infinite bounties bestowed on man? The answer is ---- of course man is an ingrate by his own choice. I am sure a quick reader would explain the meaning of the above verses as that Allah has preordained the fate of sinners and nothing can be done to change that. But in the light of the complete information provided by the Quraan on fate, that explanation is part of the tafsir. Leaving it there would be incomplete. The other part of the explanation that precedes this is - Allah has preordianed the fate of sinners because He is aware of their entire course of life before they're born. He already knows that they won't be attracted to Faith, and they'll make no efforts to reform their conscience. Thus, they're doomed for which they only have themselves to blame and nothing can change that. Please note the grammar of the above verse. To paraphrase it, Allah states that those who take Satan as their friend, indeed have a bad friend. Are we supposed to think that Allah forces man to take Satan as their comrade through a rigidly preordained fate without giving man the choice to reject Satan? The mere thought of it is absurd. And the style of the Verse above is a clear indication that taking Satan as a friend is man's own choice. There are many more verses throughout the Great Quraan that explain Allah's endless mercy and bounty on mankind, one of which being His decision of bestowing us with the capacity to perceive. May Allah (Subhan Wa'Tala) accept our efforts and grant us maximum guidance, ameen. And sister rose, thanks much for your very thoughtful input. You're welcomed sis. and thanks too for this. I've found your last post most useful. The consolidated nature of your analysis that leaves out nothing from the Qur'an makes it fuller and more informative that what Yehya Haroon stated. Your explanation includes his and beyond, while his explanation includes just that. Btw - for the information of readers I would also give the link of your former post on this topic which I found very helpful. Fate and Destiny - How would one interpret this? Dear brother Ace. Salaam Alaikum As I had promised, I'm quoting that verse from the Glorious Quraan that clarifies the position on fate. This clarification is in two steps, exactly as I had been explaining to you. The first step is the one you have already interpreted and which we both agree upon i.e. everything comes from Allah. The second step is the part which I highlighted along with the first step to which you didn't agree i.e. reward or punishment comes as a result of our actions. The following are verses 4:78-79. Please read carefully. An unperceiving person may think that these two verses contradict each other. But no, they are not contradictory at all. Both the above verses refer to the reverse which the Muslims suffered at Mt. Uhad which was caused by their own disobedience to the Prophet's orders. In verse 4:78 Allah says that everything that befalls is from Him. It refers to the logical process through which Allah plans the consequences of every human act that automatically becomes a part of their fate. Thus, since He is the Only Planner of fate, everything is blessed or inflicted by Him, and this cannot be changed. But the reason for earning that blessing or affliction comes from our own conduct which is expressed in verse 4:79. Verse 4:79 further clarifies that Allah never hurts anyone without a reason. While good may come from Allah through His kindness, forgiveness and mercy, but ill is inflicted upon us by Allah because of our own transgression, or as a test in which case our reaction to it becomes the basis of Allah's Judgment. PLEASE ALSO REFER TO SHAH-UL-HAMEED'S ARTICLE POSTED BY SISTER ROSE, TITLED: Is Islam a Religion of Fatalism? Question is, are we pre-destined to play the roles already written for us in this world and then get good or bad reward for the roles we played according to the fate which was already written for us? Does not seem fair if this would be the case. Allah has given us permission to be free in our will to carry out actions in our life according to our own decisions. Allah will judge the actions and based on the weightage of good and bad deeds, will decide about our fate in the hereafter. Some people ask, when this is already written what we will be doing in our life, then why we would be responsible for our deeds? The answer to this question is that Allah knows what we will be doing in our life because of his knowledge of future and not because he has already written down the script for us to carry out. He knows because He can see us in past, present and future in time. Otherwise, we are free to act on our will for which permission has been granted by Allah. We are therefore responsible for our actions and will be judged accordingly. He (Allah) knows what is before and after them and they shall not compass it with their knowledge. The above Ayat tells us that Allah knows the past and future. Because of this knowledge of past and future, any thing we are going to do in future could be written down. The below Ayats mention that there is a written record/account of every thing. There is no creature on earth but it’s sustenance is the responsibility of Allah. He knows of its destination and its course. All is in a clear writing/book. Never did We destroy a population that had not a term known and written. The Unbelievers say, “Never to us will come the Hour”. Say, “Nay! but most surely, by my Lord, it will come upon you;- by Him Who knows the unseen,- from Whom is not hidden the least little atom in the heavens or on earth. Nor is there anything less than that, or greater, but is in a clear writing.